It may not seem like much of a problem at first, but after some time a roof leak can cause all sorts of damage inside your home. Even a small stain on the cieling may not seem like much but behind the scenes there could be all kinds of damage you’re not seeing. As water enters the home from a roof leak it can damage almost anything it comes in contact with inside the home. This isn’t just limited to structural or other of the home’s components but also the furnishings in your home such as televisions or other electronics. 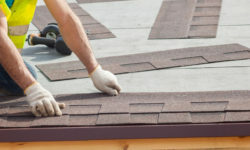 When your home needs roof repair in Oakland County Michigan it’s important not to delay those repairs as the damages can constantly increase because of it. Here are some key reasons why you should hire a qualified roofing contractor to repair your roof if it’s leaking in Oakland County Michigan. Not all roof leaks are the same and sometimes they may seem to show up during heavy storms. This just means that the roof leak isn’t bad but it still allows water leaking into the home. Even a small amount of water leaking into your home can be a problem and should be addressed. Whenever you have a roof leak on your home be sure to call a roofing contractor as soon as possible, it’s best to repair the roof before the next weather event. Here are some things that you may experience if you continually delay roof repairs on your home. It may seem like a large roof leak on your home can be the biggest problem but the small roof leaks can also affect your home in a big way. 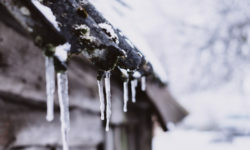 Since small roof leaks are usually not noticed or simply considered not a huge problem, it can lead to many problems that you may not even be aware of such as reducing the energy efficiency of your home. As water from the roof leak saturates the insulation in your attic and in walls it compresses it making it less energy efficient. It may also cause roof insulation to fall out of place due to the weight of the water. Roof leaks can be a huge problem and if they aren’t attended to the damage could get worse. Sometimes having water damage on components of your home can be easily and quickly repaired if they continually get water damage it can lead to many problems. For much longer periods of water damage there can be damage to structural components of the home as well which can make remaining in the home dangerous. Damages on the roof can open your home up to wildlife and rodents that can make their way into your home from these roof damages. 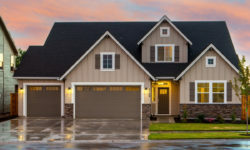 One of the areas that is very problematic is at areas where more flashing is used such as step roofs where the roof leak may occur under an eave of the home. This makes the water coming in from the roof leak less but the damaged area can be larger and wildlife can enter through these areas. Other problems include ventilation where you may not have a roof leak but birds can enter the attic including bats. Another problem that many people don’t consider is mold. When water is allowed to remain in an area of your home that is dark and humid it can promote mold growth in the home. The attic and walls of your home under a roof leak is a prime spot for this mold to grow. The one thing you have on your side when it comes to mold growth is that it takes time to form and spread. So getting roof repairs done quickly can prevent mold growth in your home.